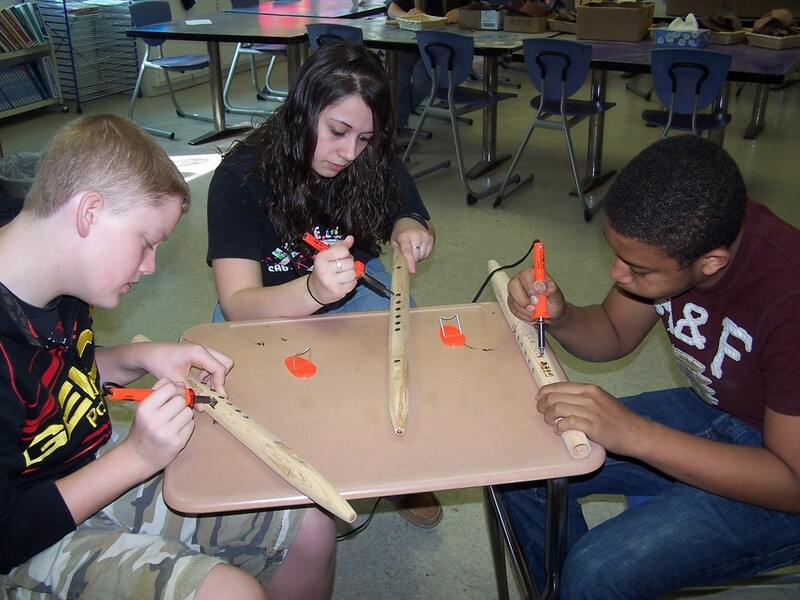 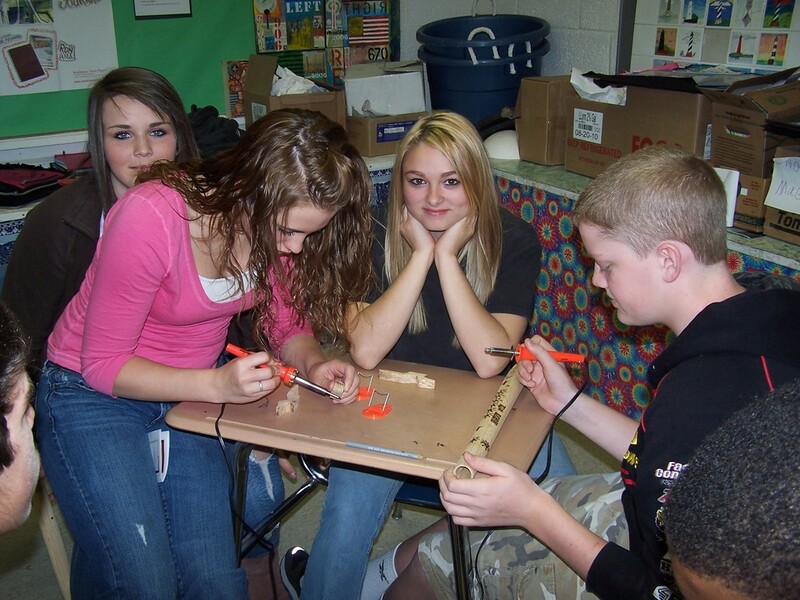 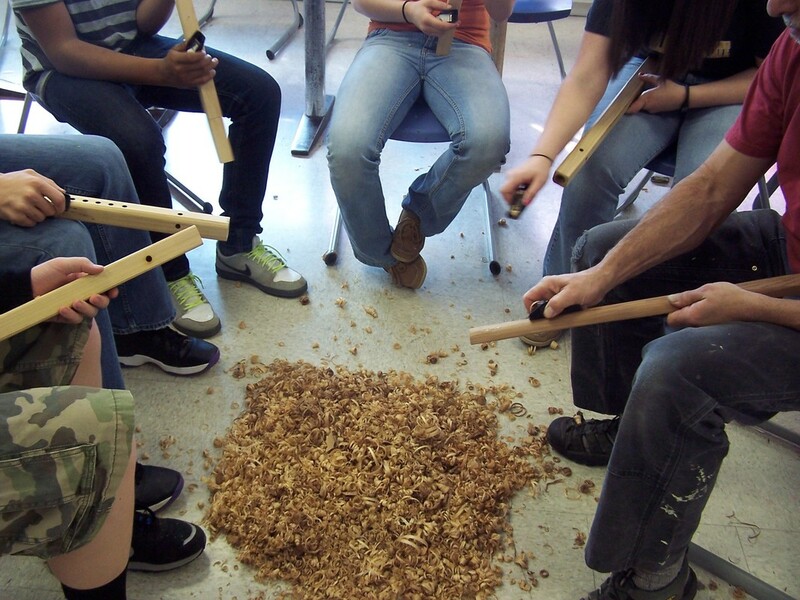 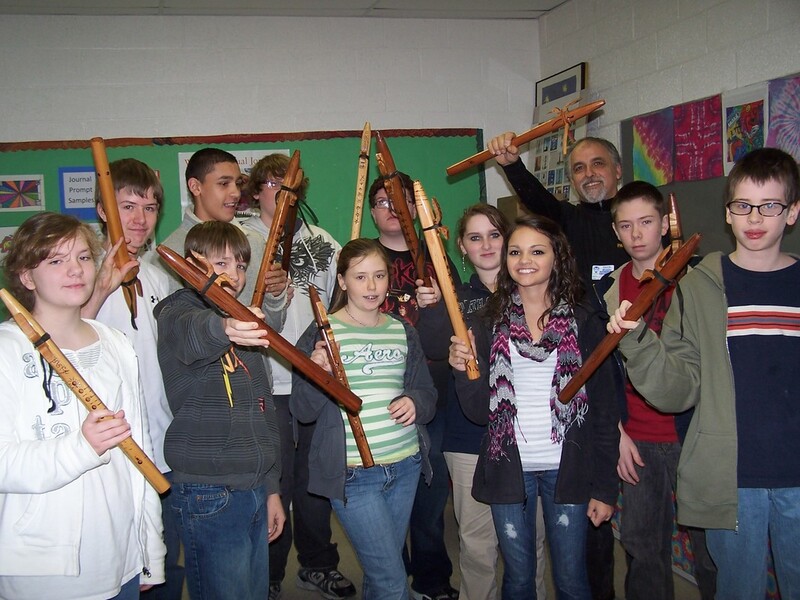 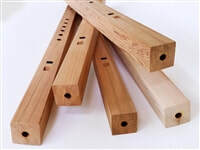 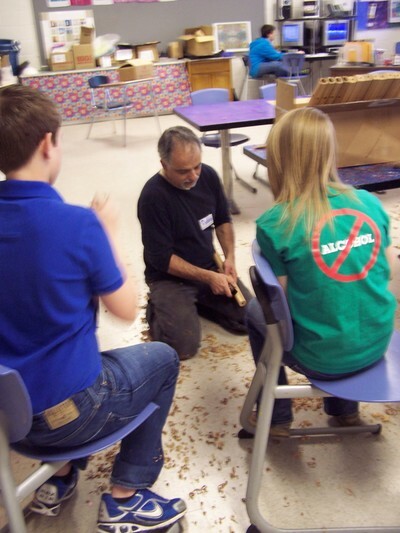 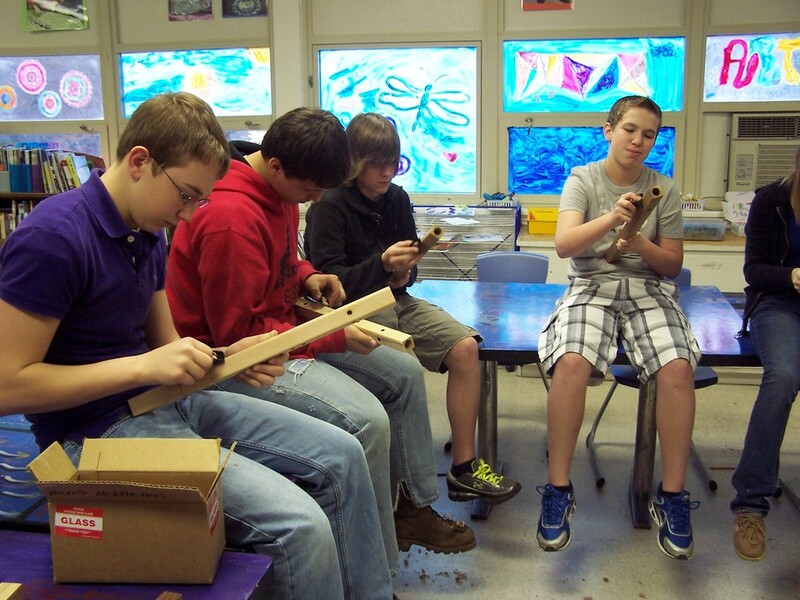 These are unfinished cedar flutes supplied by Stellar Flutes built in Harris Middle School with 8th grade students in Spruce Pine, NC. 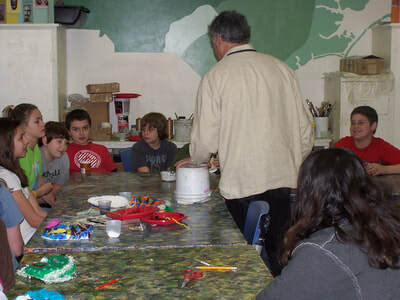 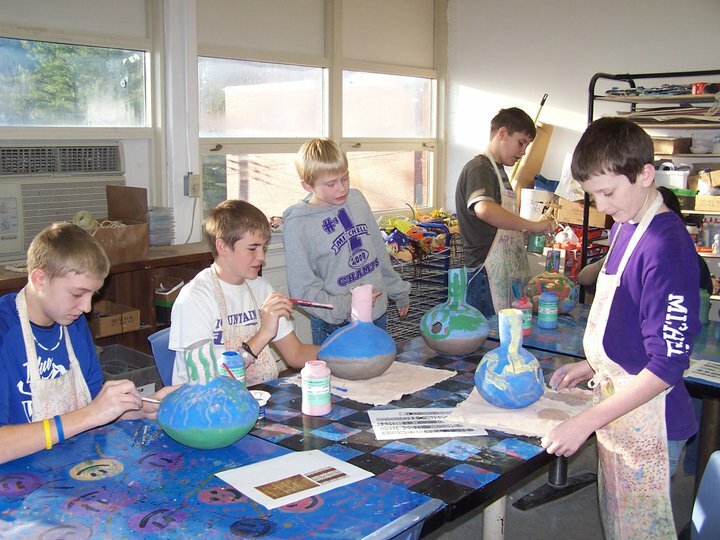 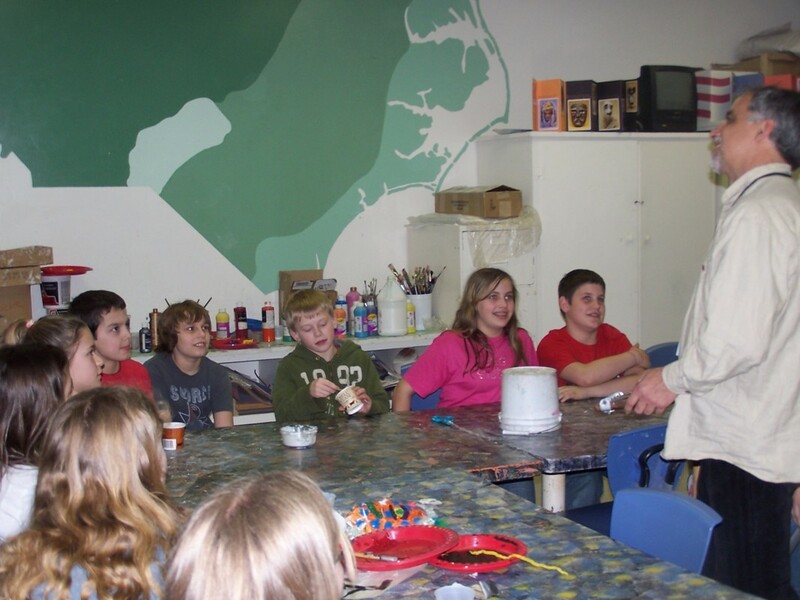 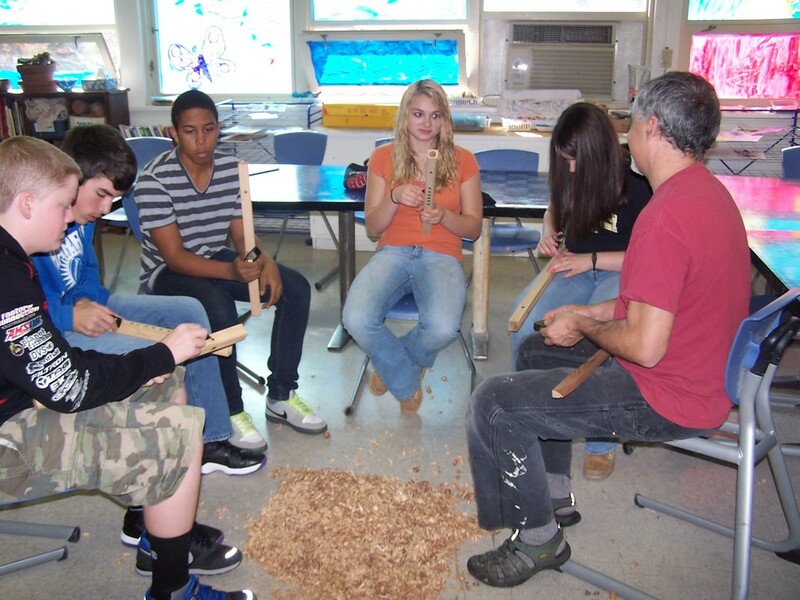 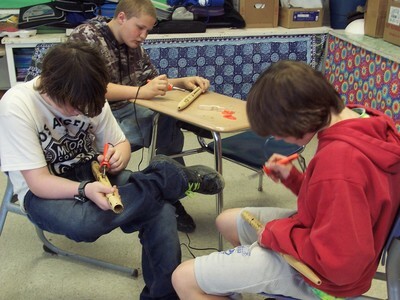 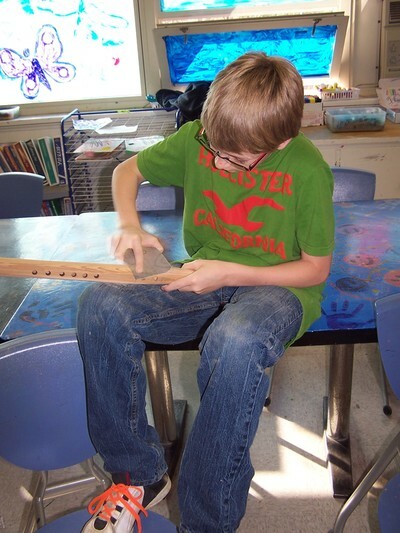 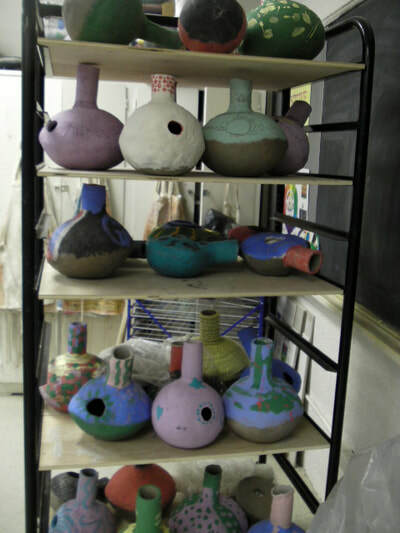 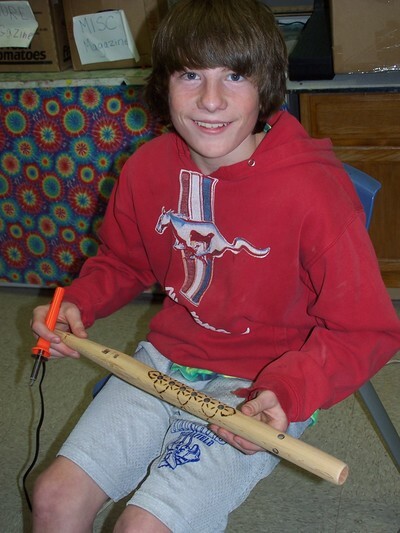 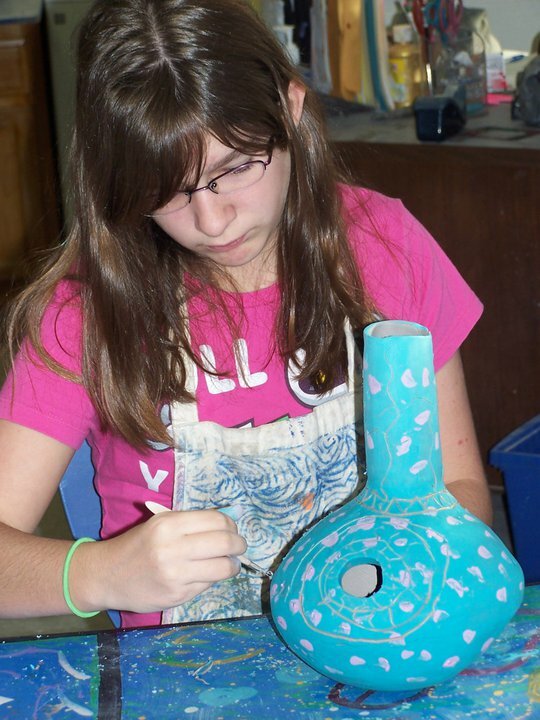 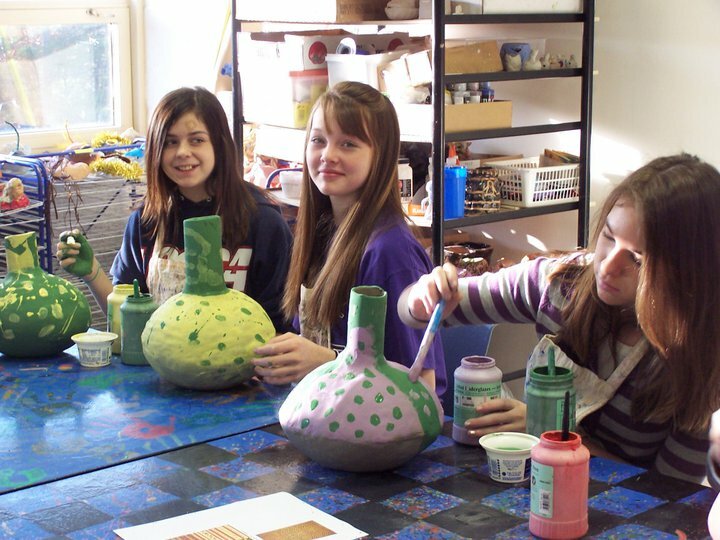 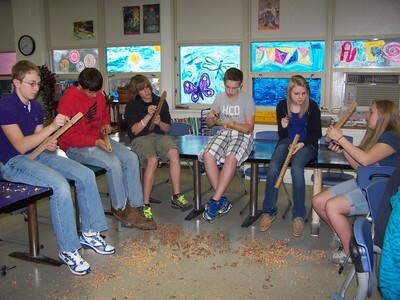 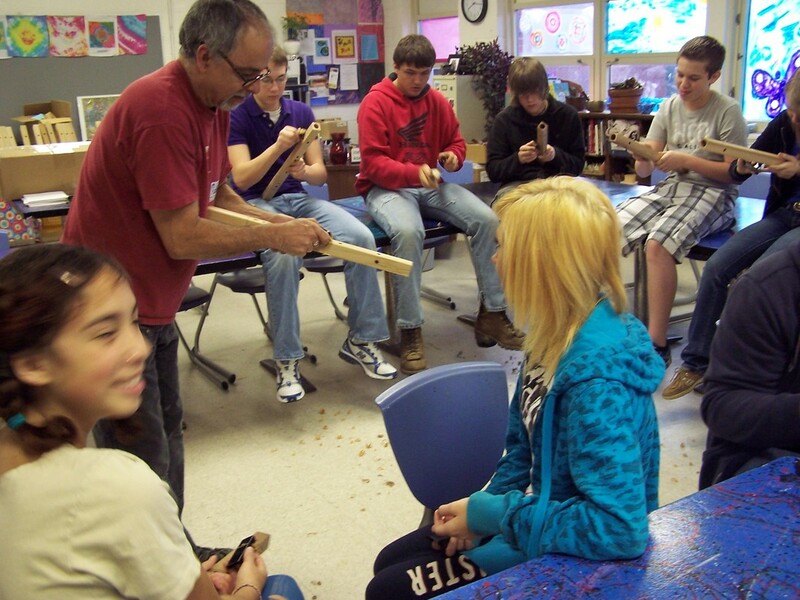 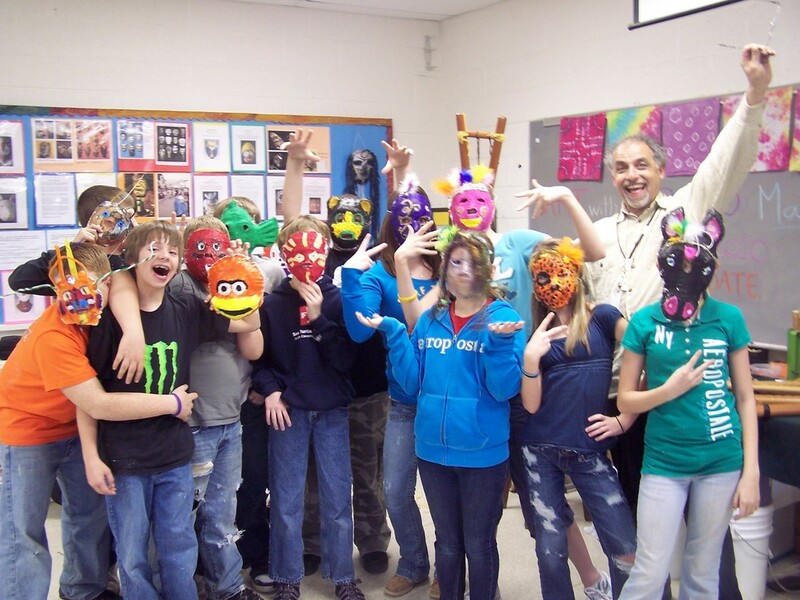 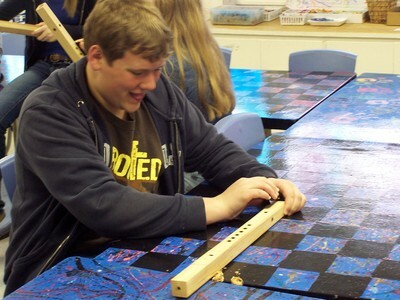 The students carved and sanded, then decorated their instruments in a week long workshop. 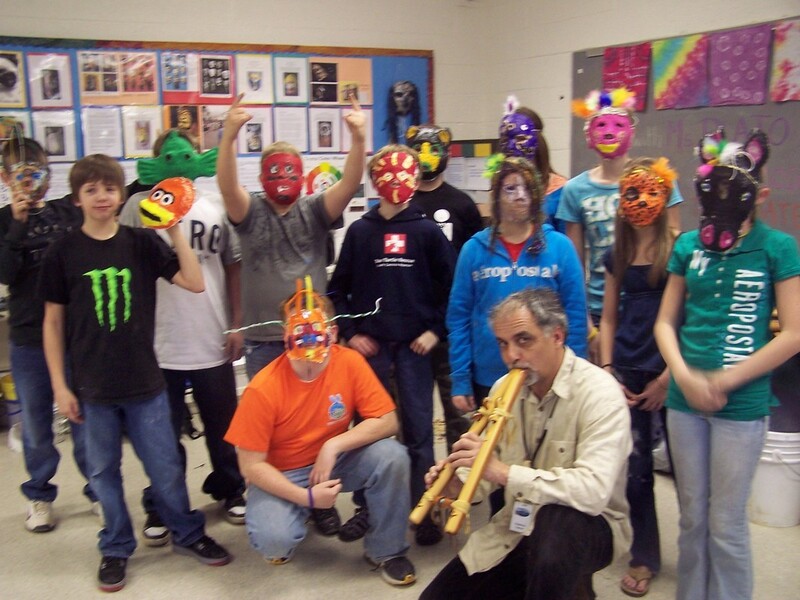 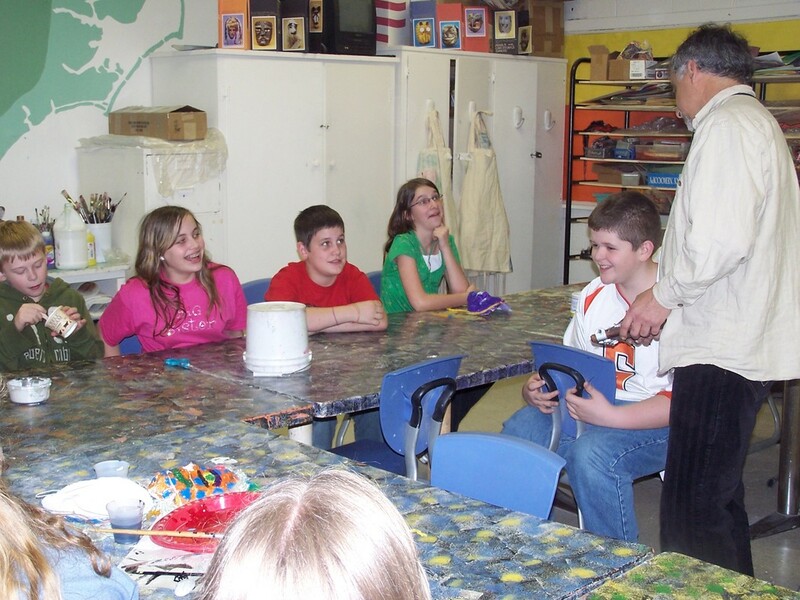 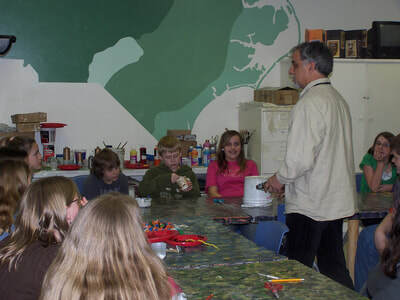 The flutes were then coated with a clear finish and went home with all the students The art teacher and I secured State grants to pay for the materials and 20 students were able to participate and we also made one for the Principal at the time. These students learned to play a simple song and performed for the school to help raise additional funds for the coming years. 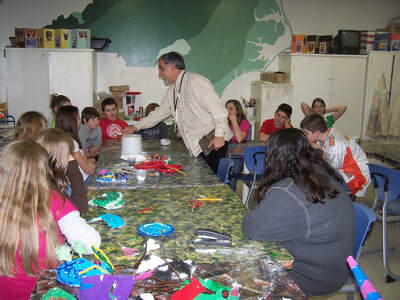 Making Lager Phones at Camp Spring Creek in North Carolina. I have also taught in Universities. 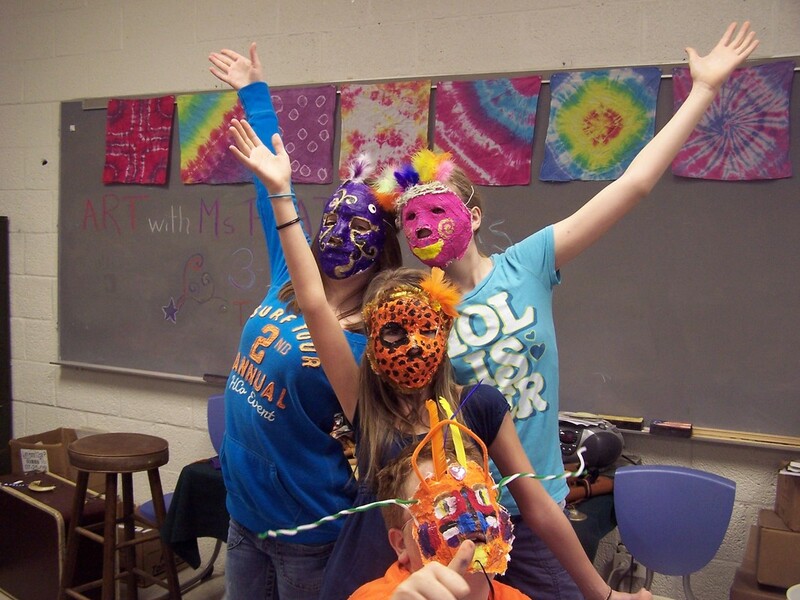 This was in 2010 at ASU in Boone, NC. 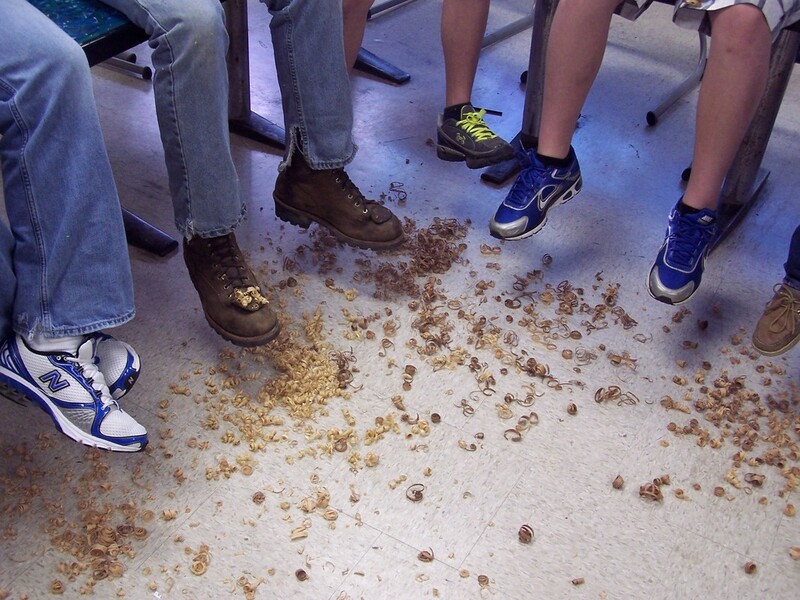 I taught a class of first year music students. 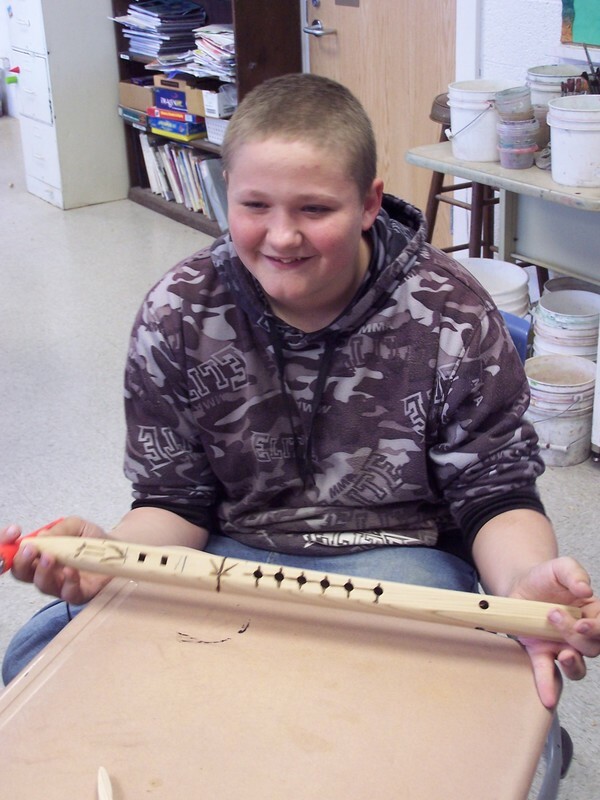 I shared my Native American Flute music and co-created a call and response lesson where all the students participated by creating music in individual groups. 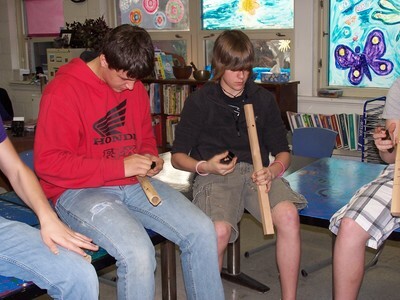 They used percussion instruments and then worked together as a whole creating musical dialogue. 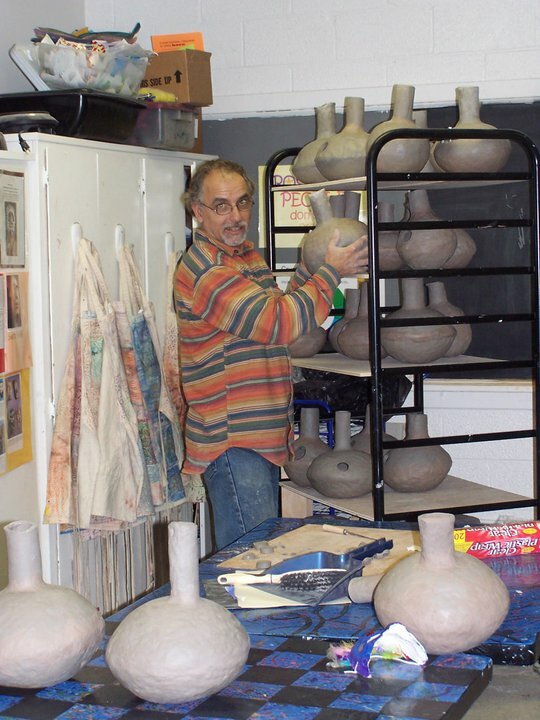 ​Udu drums. 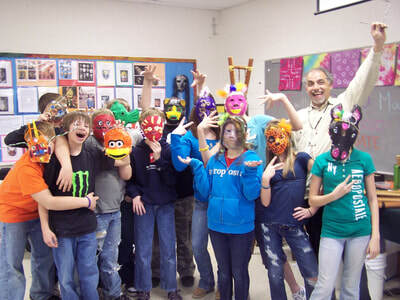 Click here​ to see some examples.